Petition filed against CPS courses in Gujrat - AcrossPG Exams! The Indian Medical Association has filed an application before the Gujarat High Court seeking to put a halt on admissions to the post graduate diploma course in Mumbai's College of Physicians and Surgeons (CPS). The IMA plea is an addition to a pending petition seeking cancellation of affiliation granted to CPS by the Gujarat government. The Mumbai-based institute was derecognised by the Medical Council of India (MCI) earlier this year while the Maharashtra government also took action against the institute that has gained notoriety for alleged corruption in admissions to the post graduate diploma courses. The plea is likely to come up for hearing on August 20. "It has come to knowledge that CPS, Mumbai, has started admission procedure and counseling is also being scheduled. The admission procedure has been started in direct contravention to the provisions of Indian Medical Council Act, 1956 and if the same is permitted to continue then the students will be misguided and they will seek admission in this institute which is not recognised by Medical Council of India for Post- Graduate Medicine Courses," stated the plea filed by the IMA. The petition also pointed out that students graduating from private colleges are likely to be unskilled doctors that may be hazardous to the health of the common man. "Most of the hospitals have inadequate in manpower and clinical materials. 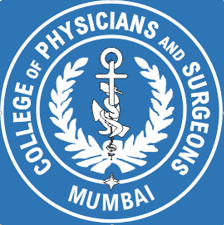 There is no system to ensure proper education training to doctors studying for their diploma to be conferred by the College of Physician & Surgeon, Mumbai. Hence, in such a situation it would be very difficult for students who seek admission in the current admission procedure," the plea added. As per the petition, the state granted recognition to CPS to ensure back door entry to students who failed to secure admissions to post graduate and diploma courses in recognised courses. It is to be noted that the Medical Council of India (MCI), an apex body of medicos, had withdrawn approval to the college. The state government recently gave affiliation to eleven private hospitals and nursing homes, including three from the city, with the College of Physicians and Surgeons of Mumbai (CPS). The institute offers diploma and fellowship courses in all medical streams and as per rules, students can enroll in affiliated hospitals for certificates from CPS. However, the MCI withdrew recognition to CPS through two notifications issued in in 2009 and 2010. Despite this, in August 2011 the Gujarat government granted recognition to CPS and changed rules to facilitate affiliation and recognition of students enrolled in the Mumbai-based institutes. The state's rules allowed for changes contrary to the MCI's order. The state is yet to file reply even after three months of filling the plea.